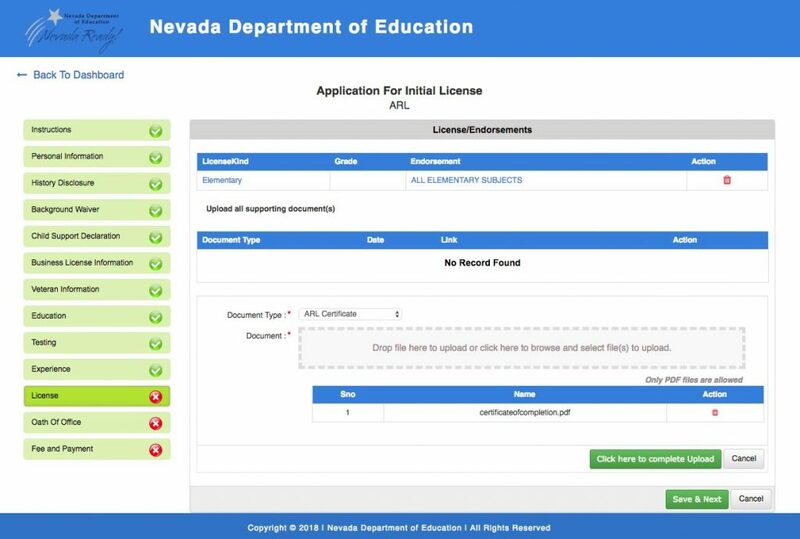 Steps for applying for your ARL (initial) license. 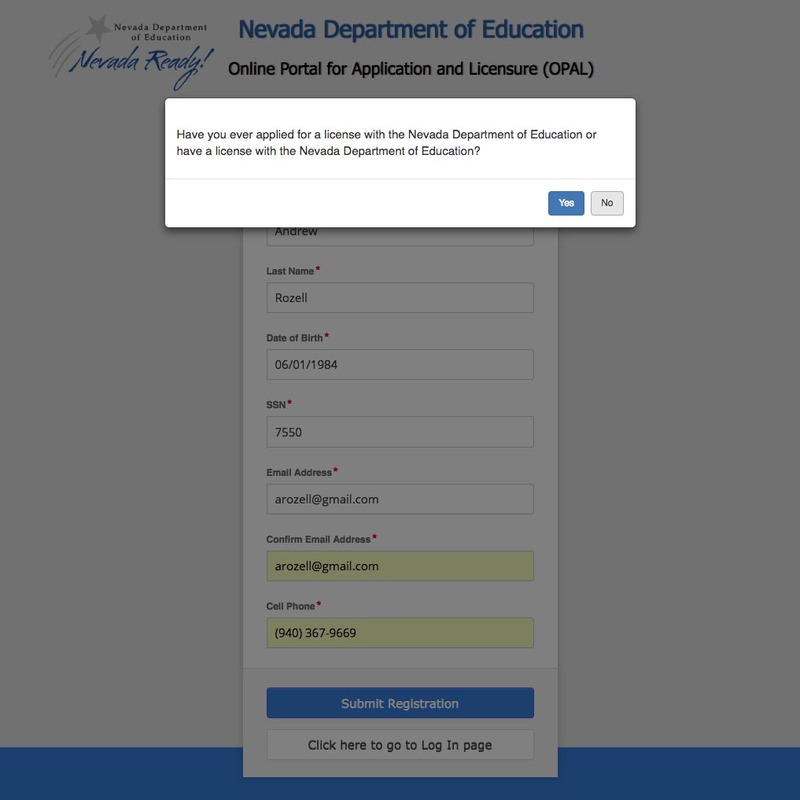 The issuance of your ARL certificate is facilitated by the Nevada Department of Education; you will complete the application on their website. 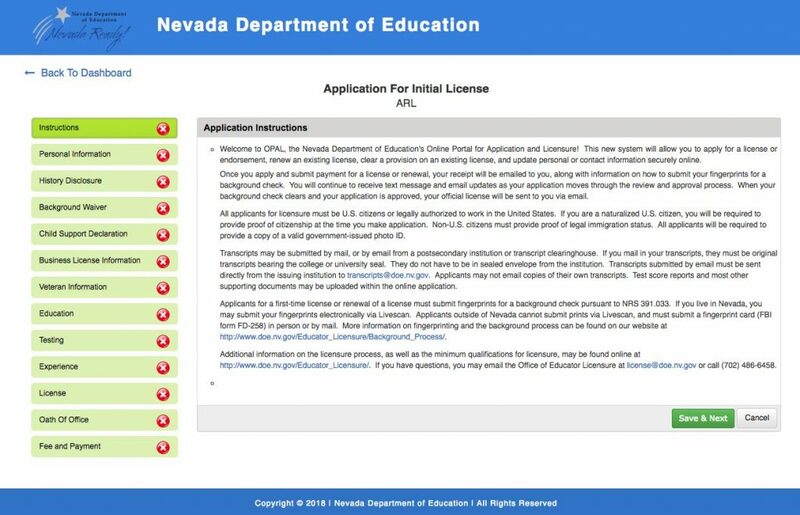 Below are screenshots of the process to walk you through step-by-step the process of earning your ARL license. Complete the basic questionnaire to create an account. The appropriate answer most likely is “No”. 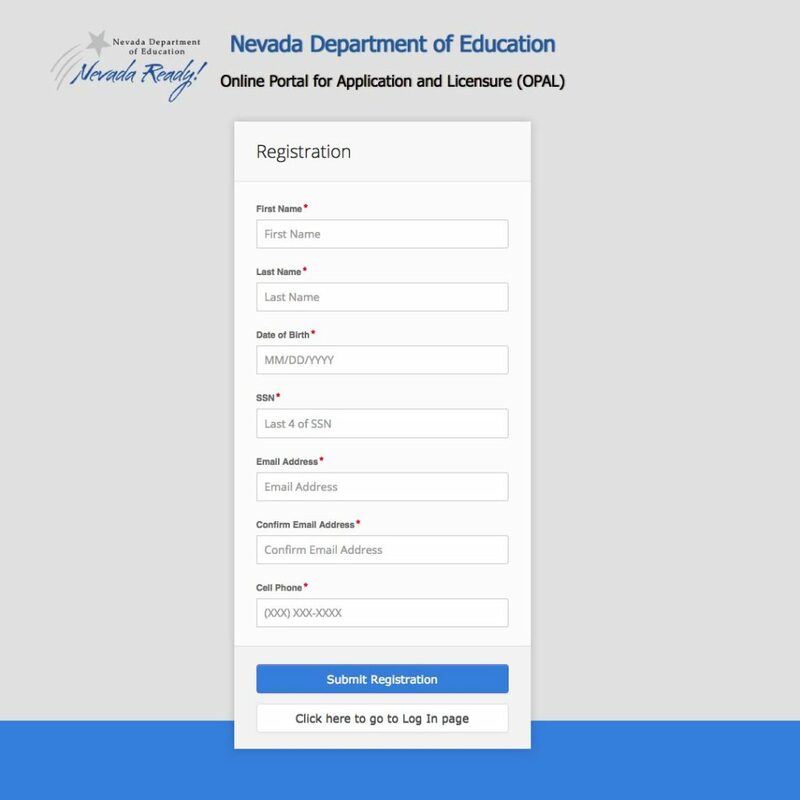 From your account homepage, click “Initial Application” in the upper right hand portion of the page to start application. 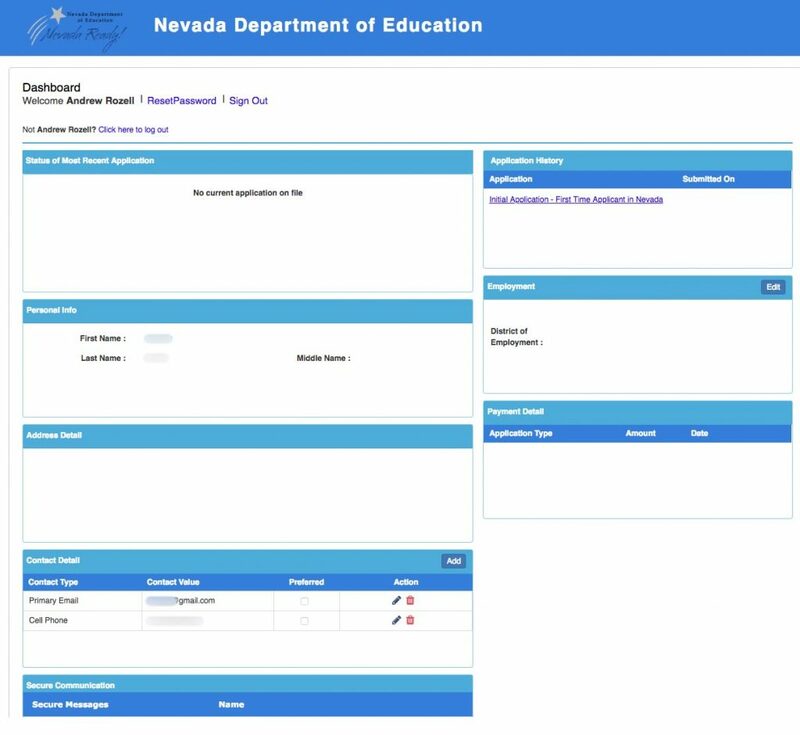 Work through all required screen completing the appropriate information on each page. 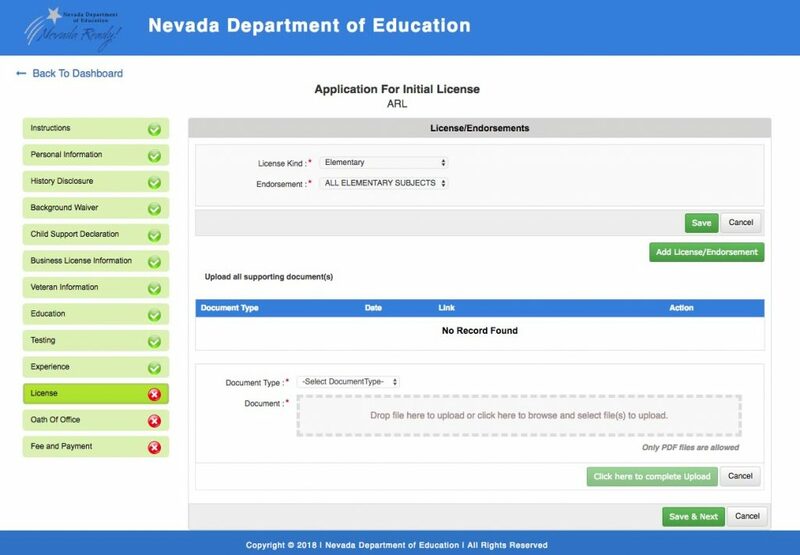 For license, you will select the broad grade level and then for endorsement select the specific subject you will be teaching.